Conducting business in an economy that has become increasingly global requires vision. Textron Aviation has mastered that vision, and we understand that investment in new product development is the key to winning in today’s market. While some competitors have pulled back due to economic headwinds, Textron Aviation remains committed to investing in the future of business aviation. Our dedication to innovation has led the firm in a bold direction that has resulted in a new line of large-cabin Citation aircraft. Our customers would often ask if we had plans to design and build larger, more capable aircraft to meet their growing mission needs. We saw an opportunity to infuse innovation and new design in this space. With a new family of large-cabin aircraft, we are not only demonstrating our commitment to investment, but also ensuring success for businesses, travellers and operators eager for new technology and products designed to increase their capabilities. The Citation Latitude – the first in a series of large-cabin Citation aircraft – offers a truly different cabin experience. The aircraft rapidly set a new standard, resetting the expectations of a mid-size business jet. Since its entry into service last year, more than 40 customers have incorporated the Latitude into their operations, making it the most delivered mid-size jet in the world in 2016. The Latitude, with a range of 2,700 nautical miles, is set apart from the competition by its combination of comfort and efficiency. Offering a spacious, six-foot, flat-floor cabin, it’s also flexible enough to fly into smaller airports. Extended maintenance intervals provide owners with the lowest direct operating costs in the mid-size segment. The Citation line has long been renowned for delivering superior performance at low operating costs, and the Citation Longitude will be no different. The super mid-size jet will feature the longest maintenance intervals in its class – 800 hours, or 18 months – making it the most cost-effective to operate in the category. In designing the 3,500 nautical-mile-range aircraft, the company had a clear focus on comfort, a feature important to customers in the super mid-size segment. Passengers will be able to control the cabin environment from any mobile device, and standard high-speed internet will allow for ample in-flight productivity. The jet is also set to feature the lowest cabin altitude in its class at 5,950ft, ensuring travellers arrive feeling refreshed. Up to 12 passengers can take advantage of the stand-up, flat-floor, double-club cabin, and the large walk-in baggage compartment is fully accessible during flight. In October, Textron Aviation achieved first flight of the Longitude, paving the way for full certification. The aircraft will enter into service in 2017. For the first time in more than 20 years, the large-cabin segment will see a clean-sheet aircraft. With a range of 4,500 nautical miles and the widest cabin in its class, the Citation Hemisphere is a jet tailored specifically for next-generation airspace. 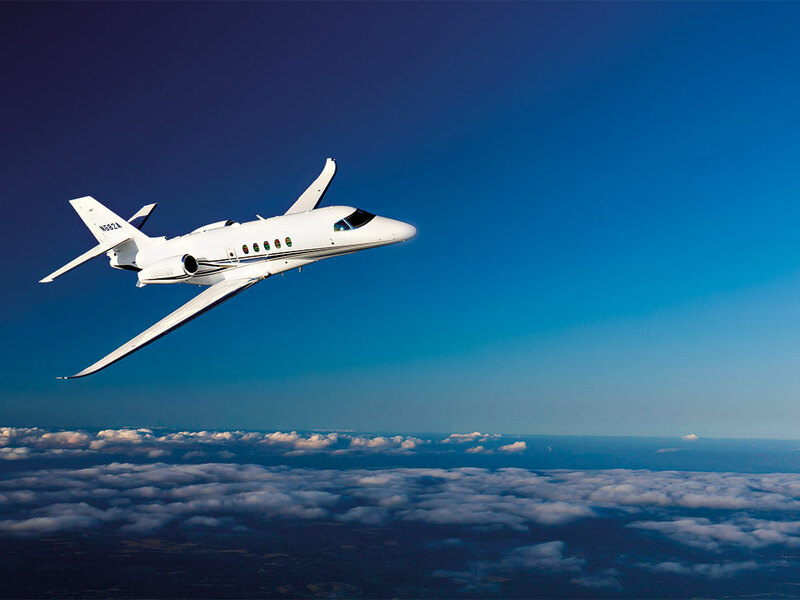 Textron Aviation is enlisting the help of business leaders to ensure the Citation Hemisphere comes equipped with the tools needed for long-term success. An advisory board, consisting of aircraft owners and flight departments, was recently assembled to provide essential input on the Hemisphere and its features. With the Latitude and Longitude, Textron Aviation has proven its ability to deliver on its commitment to the customer. Robust investment has now led them to the Hemisphere, with a first flight slated for 2019. This level of momentum is unique in the industry. Textron Aviation remains focused on invigorating general aviation and forging ahead with a plan that began years ago with one person in mind: the customer.